What Can Be Achieved In One Hour Of Personal Coaching? Equip the coaches in attendance with the drills, terminology, and knowledge in order for them to instruct their athletes more effectively. Learn how to use the force curve graph on the Concept 2 rowing machine to analyze, diagnose and improve rowing technique. Measure the athletic performance improvement of one hour of personalized coaching. We started the session by performing a 10-minute warm-up followed by some light stretching to be ready for maximum effort. 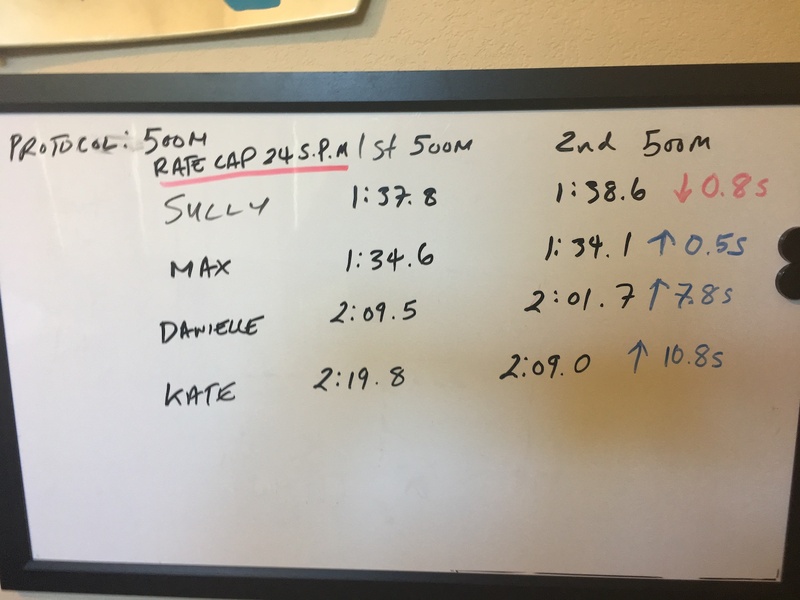 Once everyone was ready, the participants rowed a 500m time trial with a rate cap of 24 strokes per minute at maximum effort. The next part of the session introduced eight or nine different drills that can be used to help coaches and athletes understand and achieve better connection and a more powerful stroke. These exercises involved breaking the stroke down into various segments and then incorporating those drills into a full stroke. As we talked, discussed and tried out each drill, the coaches learned how to use their legs and body weight more effectively to create more force per stroke. The next part of the clinic involved a discussion of force curves. The shape of the curve can be used to diagnose and analyze technique. This analysis can identify where the biomechanics of technique is breaking down. The coaches could feel improvements in their stroke by using the visual feedback from the monitor on the machine. An essential part of training is to rate cap pieces at low stroke rates. By holding down the stroke rate, the athlete learns how to connect at the beginning of the stroke, suspend the body weight off the handle, and create more torque during the drive. After fifty more minutes of coaching, the athletes repeated the 500m piece with a rate cap of 24 strokes per minute. Of the four athletes that completed both 500m efforts, three of the athletes had improved their times. In a couple of cases, the athletes had to improved by ten seconds over a two-minute effort. The image provided below demonstrates the overall improvement that the coaches made. I had a great time working with these coaches. They now have the experience, drills, and the technical know-how to help their athletes row more safely, efficiently and powerfully. The other essential ingredient that these coaches came with was an attitude of lifelong learning and a willingness to be coachable. The best results can be obtained not from a 50%/50% but a 100%/100% coach-athlete relationship. I hope that I will have more opportunities to work with coaches and athletes. The numbers recorded in this exercise provide empirical proof that it is possible to make a great deal of improvement in a short period of time. 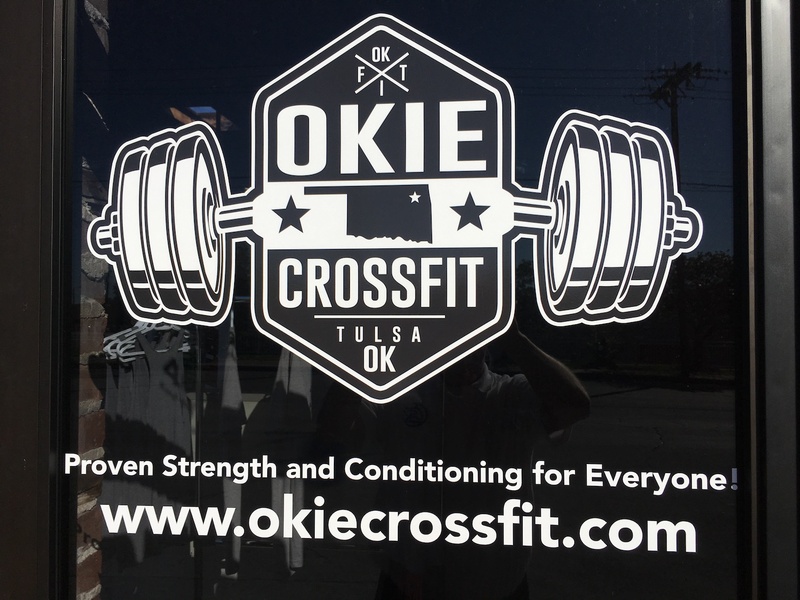 The results of this clinic will exponentiate when the gym members are provided the same level of instruction provided in this clinic. If you have any questions about the coaching services that I provide, please do not hesitate to contact me at neil@coachbergenroth.com.